take with you in your car or diaper bag. 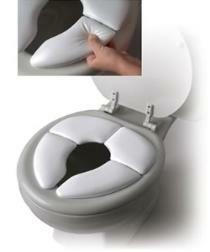 standard and elongated type toilet seats. comes with a washable carry bag.